The interior of the Queen's Wharf Shopping Centre shows the tiled floors and escalators. The interior reveals many levels of the mall. The shopping centre has not only shopping, but offices above. The shopping centre is located in downtown Toronto. 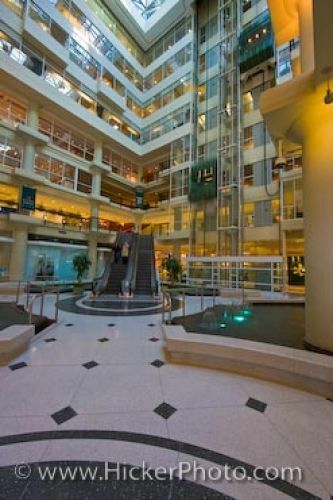 Interior of the Queen's Wharf Shopping Centre in downtown Toronto, Ontario, Canada.